Comments for An you grow Blueberries from planting them? All fruit is the the container for seeds. The seeds are the part that will grow into a new plant, but in most cases, unless you know the specific requirements to promote germination, it's going to be tough to grow a new blueberry plant from the tiny seeds inside a blueberry fruit. 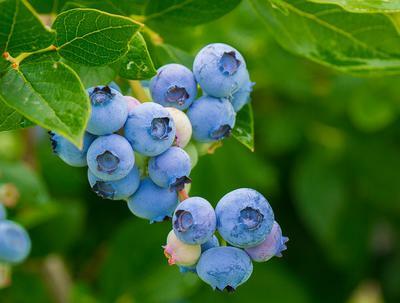 Your zone is warmer than what most blueberry varieties need to grow healthy plants. There are lots of different varieties, all developed to be hardy in all kinds of locales. You may be better off getting a blueberry plant from a local nursery or garden center if you would like fruit before your grandchildren go to university. It would take a long time for a seed planted today to get a plant to fruiting size.